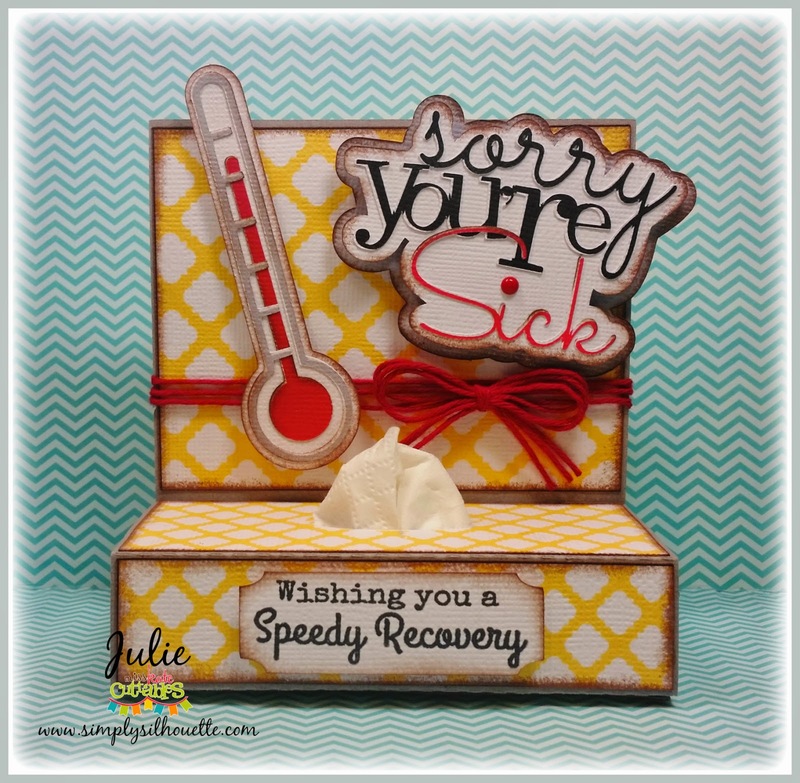 Simply Silhouette: Sorry You're Sick! What it means is that I'm on the Design Team for 2015! 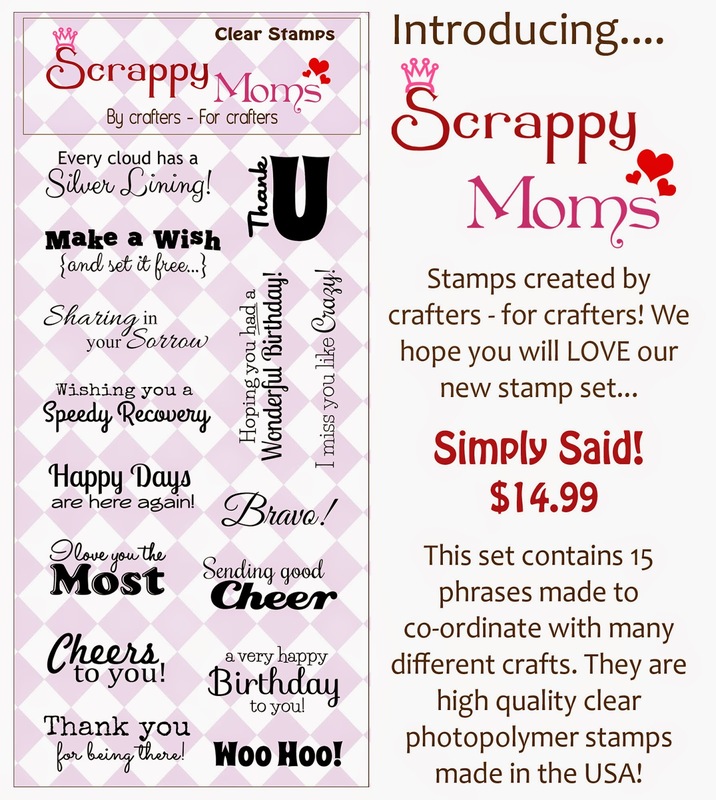 stamp set called "Simply Said!". it all off with some Totally Red Trendy Twine. how appropriate for this time of year. Love it. Great project to kick off 2015!! Super cute, sweet and thoughtful idea. 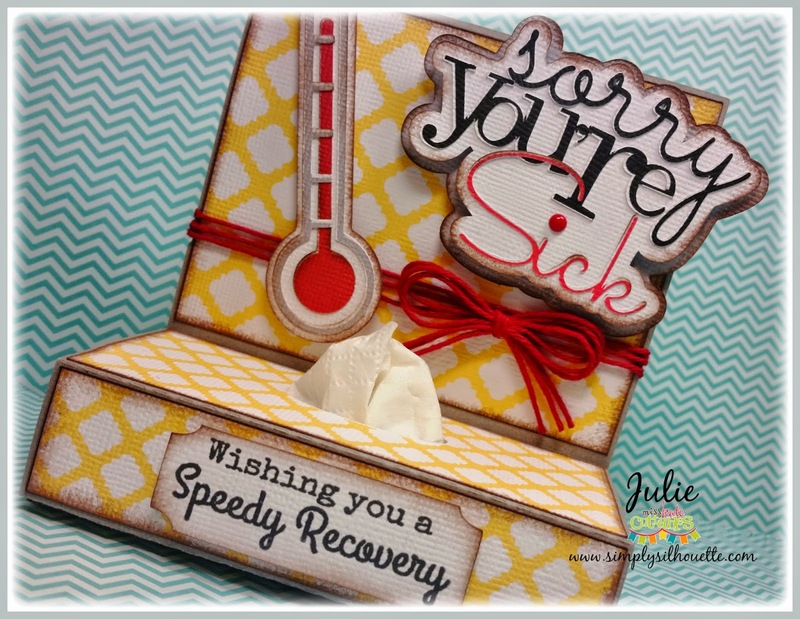 I love the cardstock/paper you chose and you really do a fab job putting it all together. Sniff...cough....Sniff...sneeze gosh is this for me....only kidding.....you really did do a great super great creative job!!! YOU so ROCK!! great job!! Love the tissue holder!! Can you share the instructions on how you made this? So very cute! I want to make one. What a cute tissue box... That would sure cheer you up . Nice bold colors.